A computer-illiterate PI is a dinosaur. Before the pavement-pounding old-timer steps off the curb outside his office, his computer-savvy competitors will have already received via the Internet the same public data he’s off to fetch. 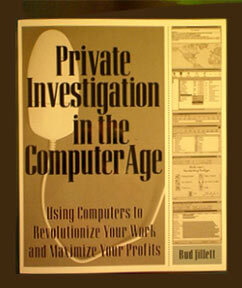 So get this book, get with the program, and get those cases – and profits – now..
Where Are The Computers In The Computer Age?